Little Guy will be 15 months this Christmas. 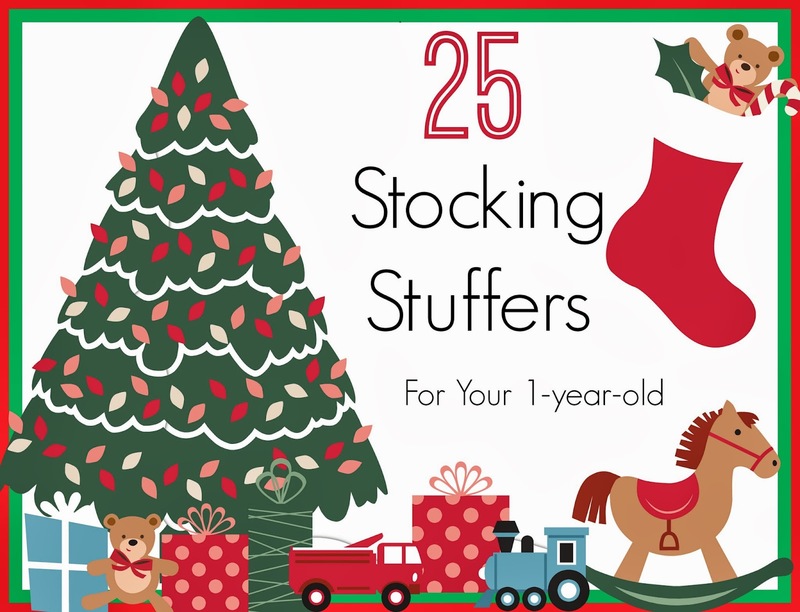 I was struggling with what to fill his stocking with this year, so I did a little research and came up with these 25 stocking stuffers that would be perfect for a one year old. Hope this helps with your stocking stuffing this year! Anything else we should add to the list? Foam bath letters/numbers are a good one too! My Story Series Review & Giveaway! Teach My Preschooler Kit Giveaway!